Banish wrinkles and frown lines! 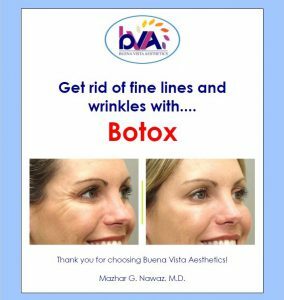 Imagine a more beautiful you…Botox is a purified neurotoxin which blocks the nerve signals that cause your facial muscles to contract. 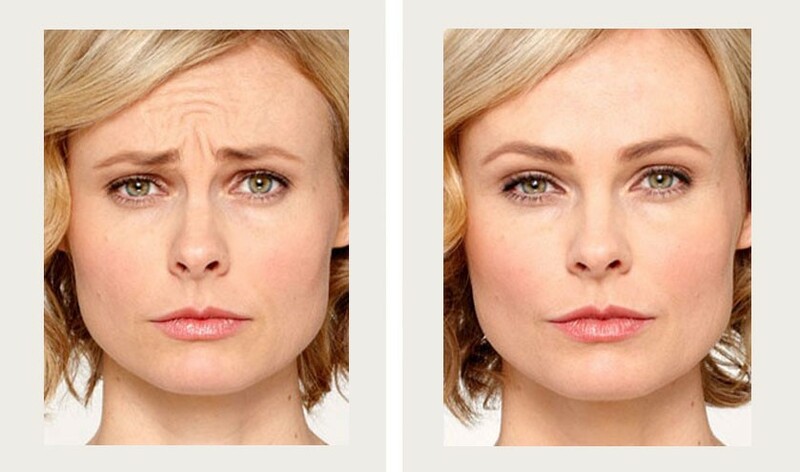 These repeated muscle contractions give rise to some of the facial lines and wrinkles that can age you prematurely. 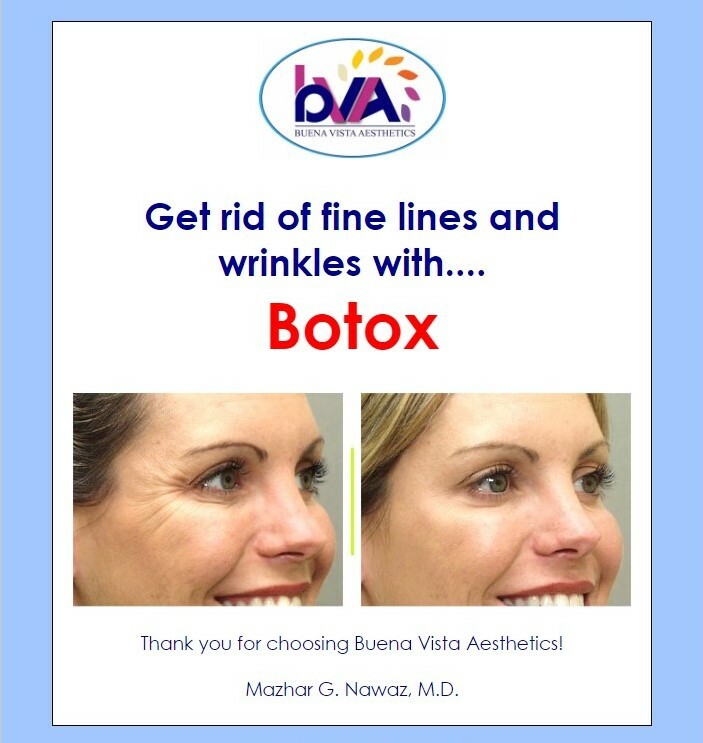 When we inject small amounts of Botox into your facial muscles, the muscle is then paralyzed. When the muscles relax, the wrinkles disappear. An injection will visibly soften your deep facial lines and wrinkles from forming. For most of our patients, the anti-aging benefits last between 3-4 months and then gradually fade. With consistent treatment, your results may last even longer!